Kenyan boy band Sauti Sol has teamed up with rapper Nyashinski for yet another collabo just four months after releasing Hot and Sweet which went viral. The two power house have joined forces for their new song dubbed “Tujiangalie” which speaks about the current state of the country. 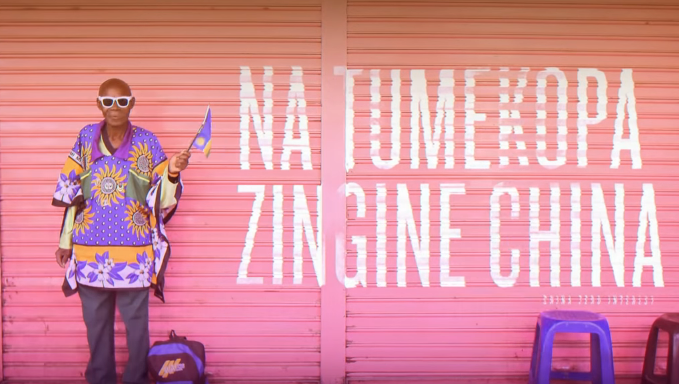 The song becomes the first from Sauti Sol that has them directly addressing the political state of the country. “For our latest release we thought about the world right now and the number of persistent issues plaguing it,” said Sauti Sol. The song heavily addresses the issue of corruption and urges young people to stop fighting on social media and seek solutions to the issues affecting the country. “Our first realization was to speak power to the reality that we are living in, hence the title “Tujiangalie.” Self-reflection. Recognizing that we have the capacity to change the world we live in by looking inward and holding ourselves accountable for the role we play in society. The truth is “when you make your bed, you lie in it!”,” they explained. Kenyans took to the comment section to offer their views, stating that they have been impressed by the song and it’s realness. The song is the sixth single off of our forthcoming LP, Afrikan Sauce.